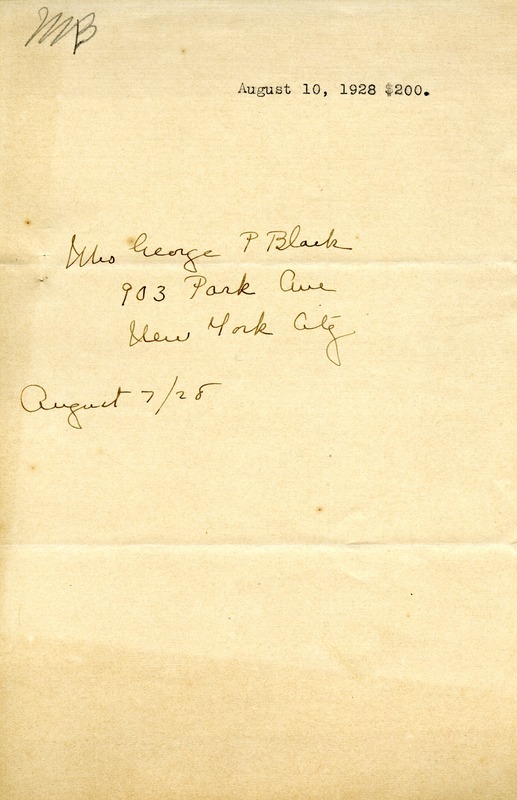 This document is evidence of a donation that was given to the Berry Schools by a Mrs. George P. Black. “Donation from Mrs. George P. Black to the Berry Schools.” Martha Berry Digital Archive. Eds. Schlitz, Stephanie A., Meg Ratliff, Rachel Renaud, Jalanee Torres, et al. Mount Berry: Berry College, 2012. accessed April 20, 2019, https://mbda.berry.edu/items/show/6729.